Here is a simple technique that can potentially help you load straighter ammo, with less run-out (as measured on the bullet). This procedure costs nothing and adds only a few seconds to the time needed to load a cartridge. 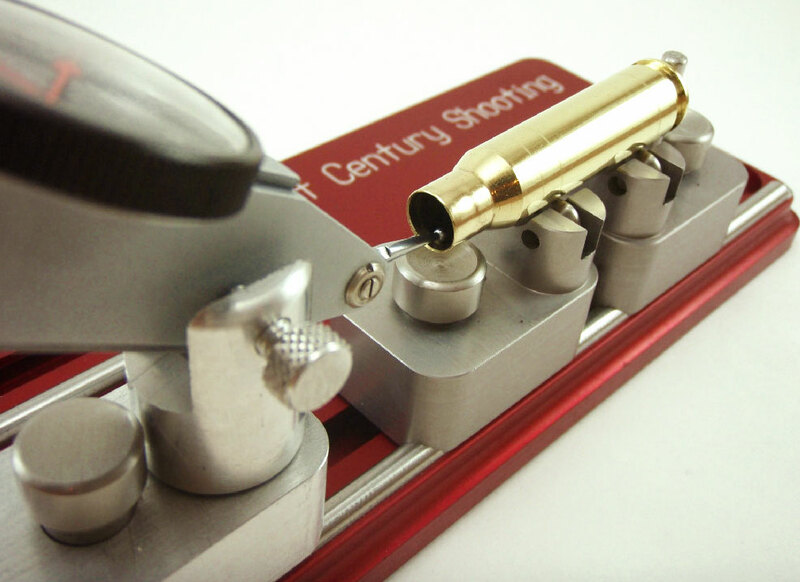 Next time you’re loading ammo with a threaded (screw-in) seating die, try seating the bullet in two stages. Run the cartridge up in the seating die just enough to seat the bullet half way. Then lower the cartridge and rotate it 180° in the shell-holder. Now raise the cartridge up into the die again and finish seating the bullet. 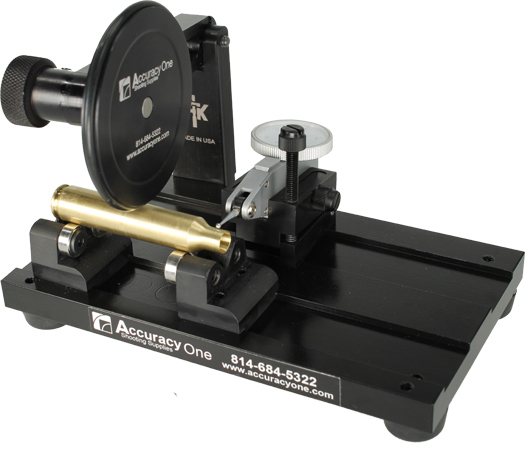 Steve recorded run-out measurements on his 30BR brass using both the conventional (one-pass) seating procedure, as well as the two-stage (with 180° rotation) method. Steve’s measurements are collected in the two charts above. As you can see, the run-out was less for the rounds which were rotated during seating. 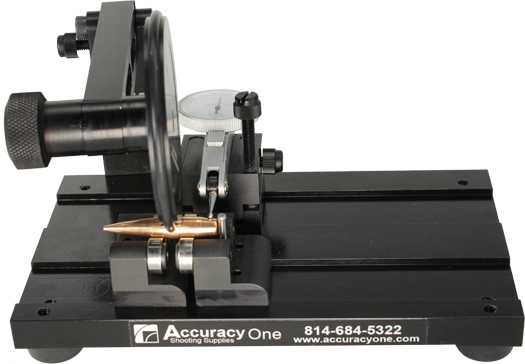 Note, the change is pretty small (less than .001″ on average), but every little bit helps in the accuracy game. If you use a threaded (screw-in) seating die, you might try this two-stage bullet-seating method. Rotating your case in the middle of the seating process won’t cost you a penny, and it just might produce straighter ammo (nothing is guaranteed). If you do NOT see any improvement on the target, you can always go back to seating your bullets in one pass. READ Forum Thread..
Share the post "Try Rotating Cases During Bullet Seating to Reduce Run-Out"
Lee also offers Custom Collet Dies, made from two fired cases. 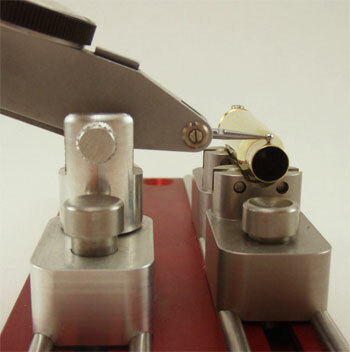 Lee offers custom standard collet dies for $78.00 and custom large collet dies for $160.00. CLICK HERE to ORDER. Share the post "Tips for Using LEE Collet Dies"
Here is a simple technique that can potentially help you load straighter ammo, with less run-out. 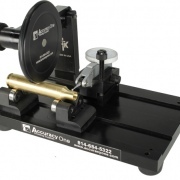 It costs nothing and adds only a few seconds to the time needed to load a cartridge. 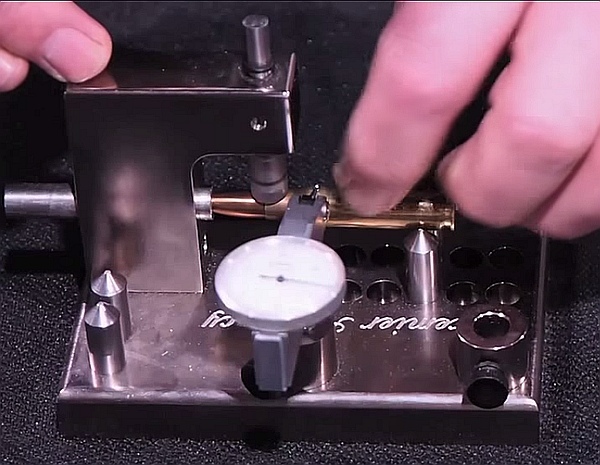 Next time you’re loading ammo with a threaded (screw-in) seating die, try seating the bullet in two stages. Run the cartridge up in the seating die just enough to seat the bullet half way. 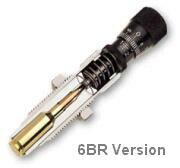 Then lower the cartridge and rotate it 180° in the shell-holder. Now raise the cartridge up into the die again and finish seating the bullet. 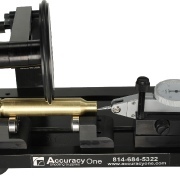 Steve recorded run-out measurements on his 30BR brass using both the conventional (one-pass) seating procedure, as well as the two-stage (with 180° rotation) method. Steve’s measurements are collected in the two charts above. As you can see, the run-out was less for the rounds which were rotated during seating. 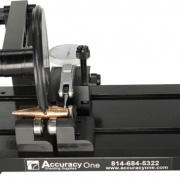 Note, the change is pretty small (less than .001″ on average), but every little bit helps in the accuracy game. If you use a threaded (screw-in) seating die, you might try this two-stage bullet-seating method. Rotating your case in the middle of the seating process won’t cost you a penny, and it just might produce straighter ammo (nothing is guaranteed). If you do NOT see any improvement on the target, you can always go back to seating your bullets in one pass. READ Forum Thread…. Share the post "Tech Tip: Try Rotating Cartridge During Bullet Seating Process — This Might Reduce Bullet Run-Out"
German Salazar has posted an informative article about concentricity-checking tools on his Rifleman’s Journal Blog. 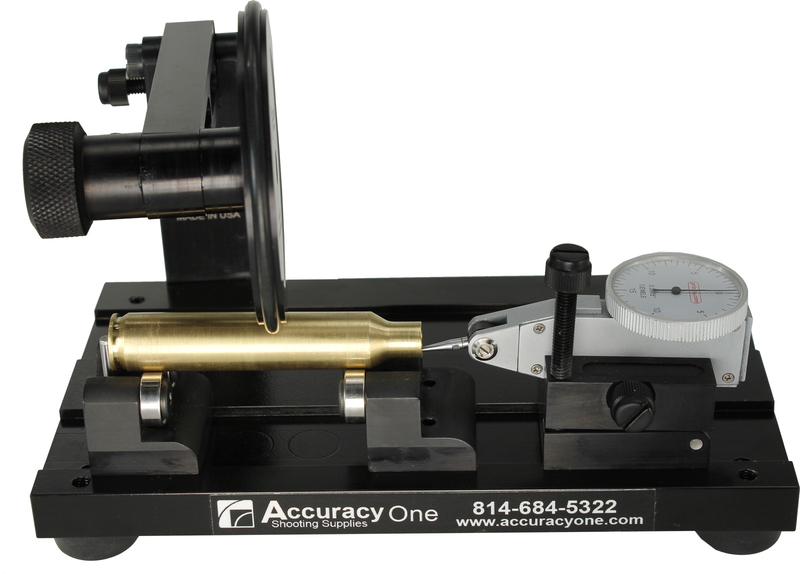 In that article, German provides a detailed review of the impressive new Bruno Concentricity Checker which features a high-grade dial indicator and an innovative system for holding both loaded cartridges and empty brass in place during the measurement process. 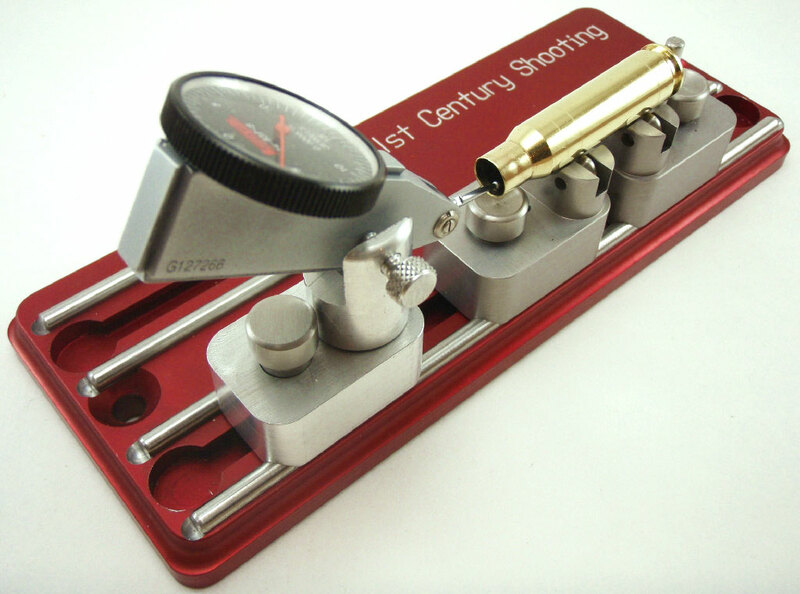 German gives the Bruno tool high marks and it is now his favored concentricity gauge, replacing on older Sinclair tool (also reviewed in the article). 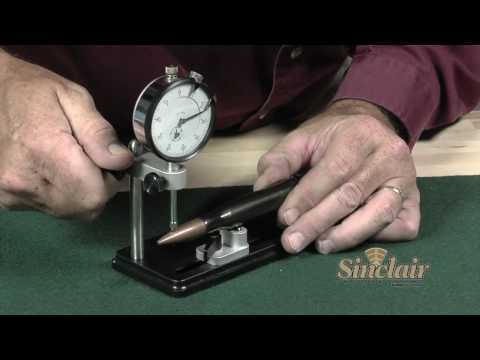 Share the post "Gear Review: Bruno Concentricity-Checking Tool"
Share the post "H&H Concentricity Gauge and Bullet Straightener"